Keeping its words, the Gujarat Board of Secondary and Higher Secondary Education (GSEB) has declared the Gujarat Board HSC (12th) Science Result 2014 on 23 May 2014. Candidates who have appeared in the Gujarat Board HSC Science stream exams held this year and have been waiting anxiously for the results need not to wait and worry anymore as the Gujarat Board HSC Results for Science stream has been declared and is available on the official site of GSEB. They can see their results there. 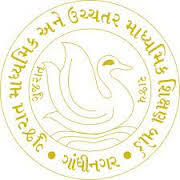 The Gujarat Board HSC (12th) Science Result 2014 can also be accessed at this link: https://www.jagranjosh.com/results/2014-gseb-gujarat-12th-science-result-2014-12th-74052. Just click on it and get the results on an easy go. This year, the Gujarat Board HSC Science stream examinations were held from 20 March 2014 to 28 March 2014, in which 1.17 lakh students in total appeared. Around 16 lakh students in total appeared for the Gujarat Board examinations for class 10 and 12 this year, out of which 9.75 were SSC (class 10) candidates and about 5.08 lakh students were for HSC general stream. Gujarat Secondary and Higher Secondary Education Board or GSEB is a government of Gujarat body, which is responsible for determining the policy-related, administrative, cognitive, and intellectual direction the state's higher educational system takes. Among the main responsibilities of the Board include academics, conducting examinations and research and development. The main academic task of GSEB is the preparation of syllabus for secondary schools as well as the recommendation of text-books to be taught in government schools. Apart from this, the GSEB also performs the duties of recognizing new schools, performance evaluation of schools and inspections of various schools associated with the Board. The GSEB conducts annually 2 main examinations - Secondary School Certificate (SSC) exam for Standard 10 and the Higher Secondary (School) Certificate (HSC) exam for Standard 12. The team at jagranjosh.com extends their best wishes to all the students who appeared in the Gujarat Board 12th Science exams 2014.